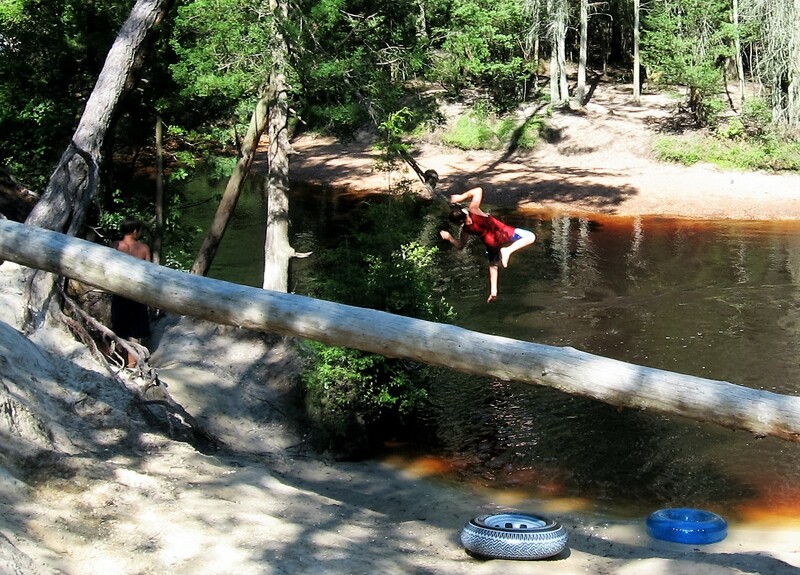 Nothing is quite like a rope swing for defying, and then succumbing, to GRAVITY. 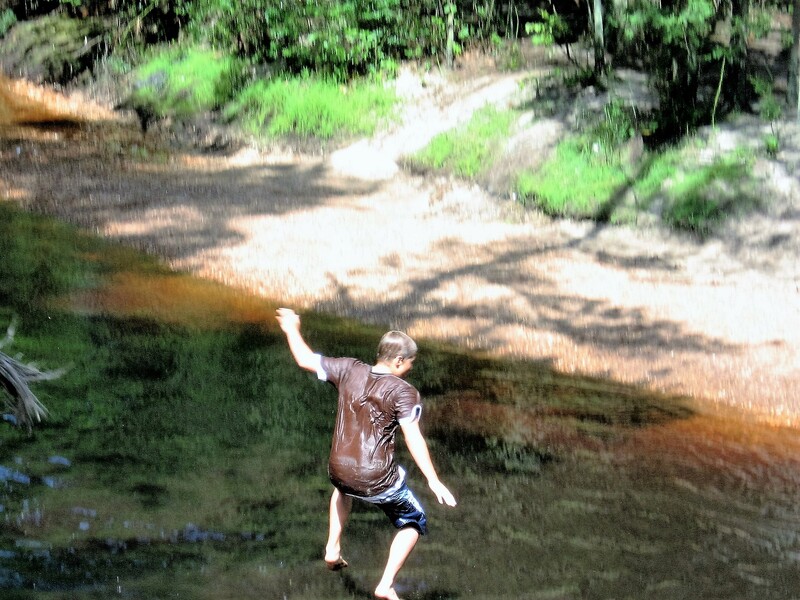 When you are flying through the air life seems weightless. In these dreary and chill days of January I enjoy paging through photographs of summer scenes. Winter has its own merits: warm fires, hot cocoa, ice-skating, etc., but if I had to choose I’d live in the summer’s heat year-round. Here’s to a bit of weightless fun, an homage to defying gravity. We are young at heart forever! Summer heat year round gets boring. I am enjoying variety, now that I don’t spend the whole year in Florida. 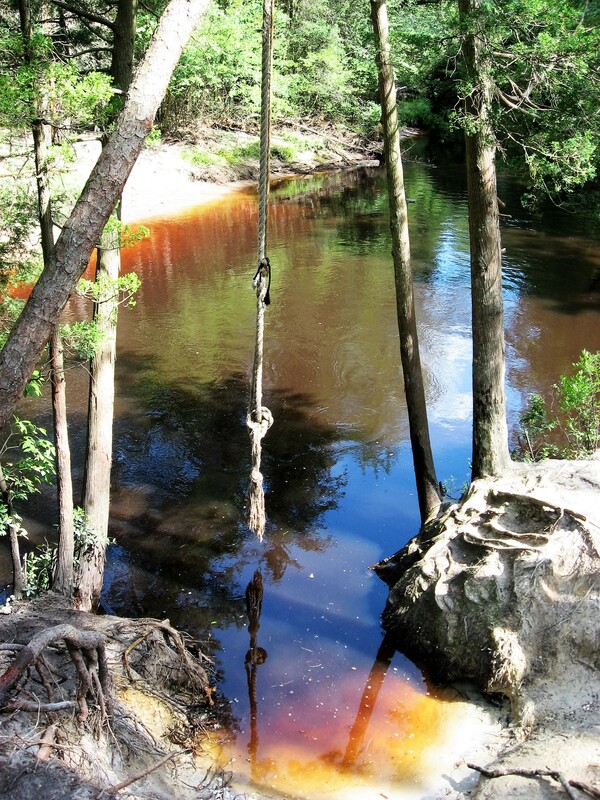 Rope swings were one of the joys of childhood! My cousins and I had a “Tarzan” swing we enjoyed at our grandparent’s home. It wasn’t over water, but it didn’t matter to us. My friends (teachers) and I go there often to kayak right when school let’s out. Sometimes, if there is a swift current, we just relax and drift. I still have that on my bucket list. 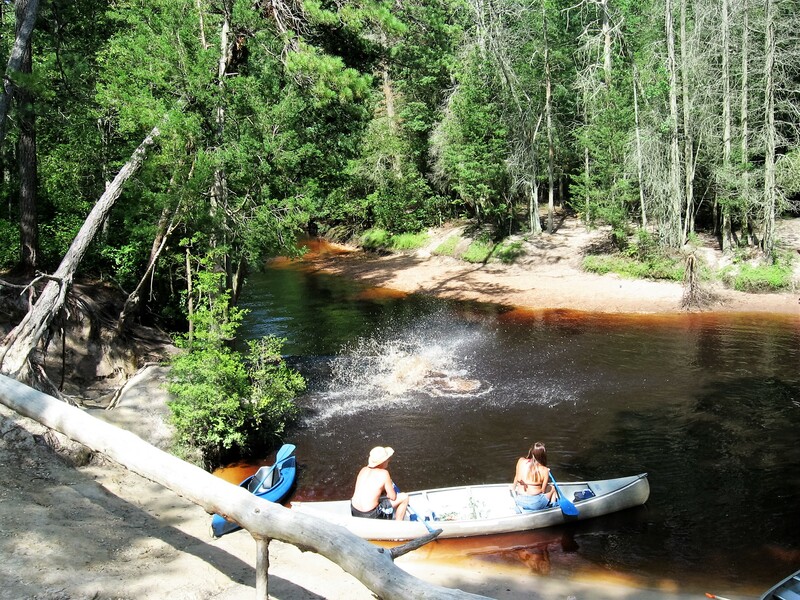 It’s a beautiful, serene spot…even in the midst of so many adventurous spirits taking the plunge.